Property Description: buy residential plot no 35 in dholera smart city phase 2. This plot is corner plot and it has 2890.35 Sq feet area. Dholera Smart City Phase 2 is situated on prime location of Dholera. This project is 2 minute away from Dholera International Airport Zone and World’s largest solar park zone and also 2 kilometers from state highway 6. 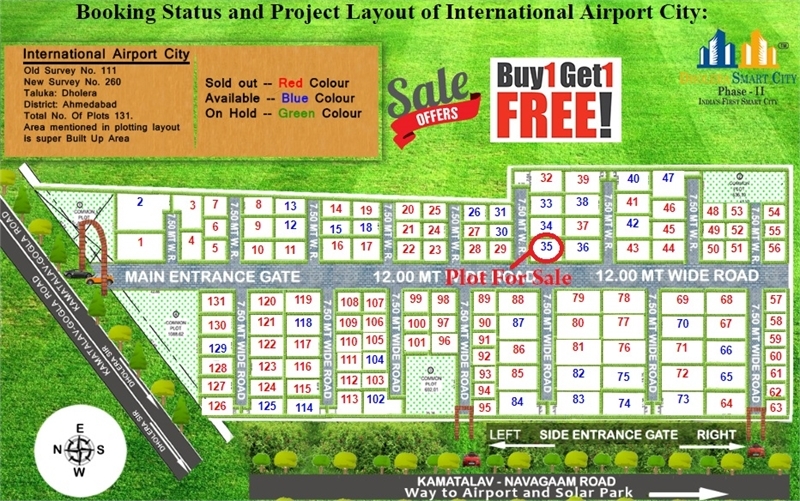 At present, there is a festival offer, so you get 1 plot free on buy 1 plot. Hurry up, book plot immediately because this offer valid till Rakshabandhan. Rate: per Sq Feet Rs. 555.